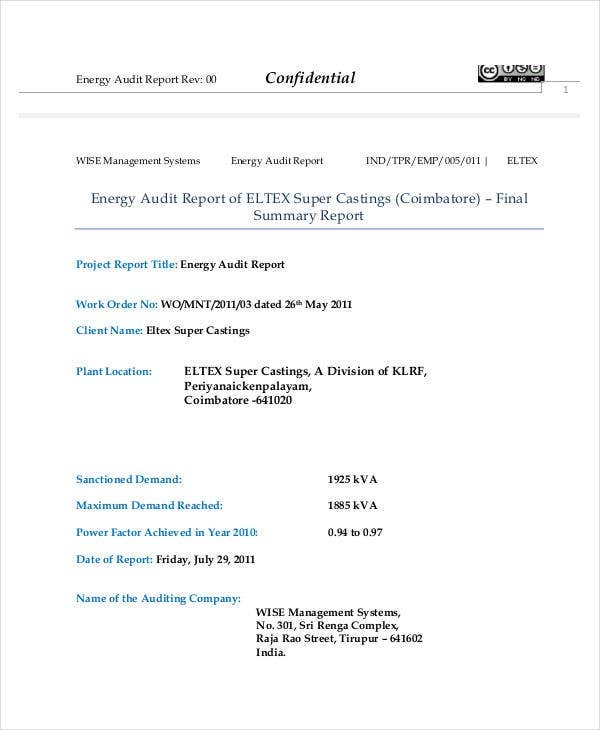 An audit report is a document that specifies the result of the examination or evaluation. 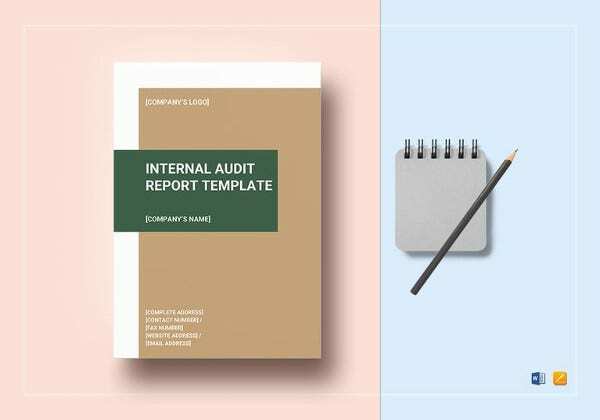 By looking at a person’s or business’s report forms and other financial statements, the auditor provides a written opinion of the financial statement’s validity and reliability in a generally accepted auditing standard format. 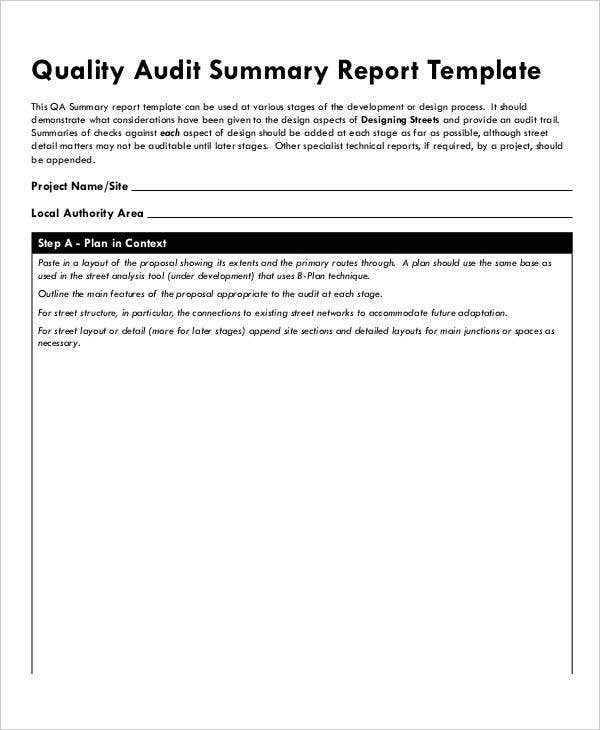 There are other Report Templates available on our website for your every business need, so feel free to browse through our articles, and we’re sure you’ll find what you need. 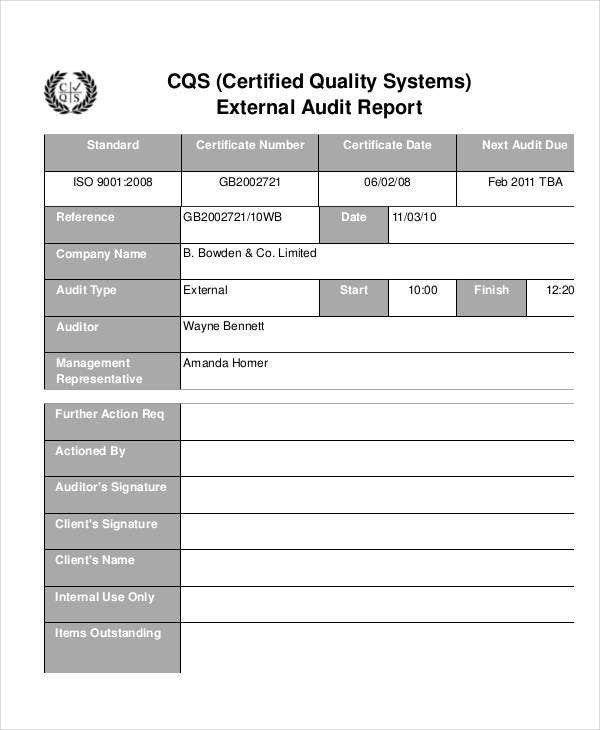 It is essential for individuals or businesses to keep track of their finances should they be subject to an audit. They should make sure that their bank accounts coincide with their income and expenses, their assets and liabilities are declared, and they follow government standards and body regulations. 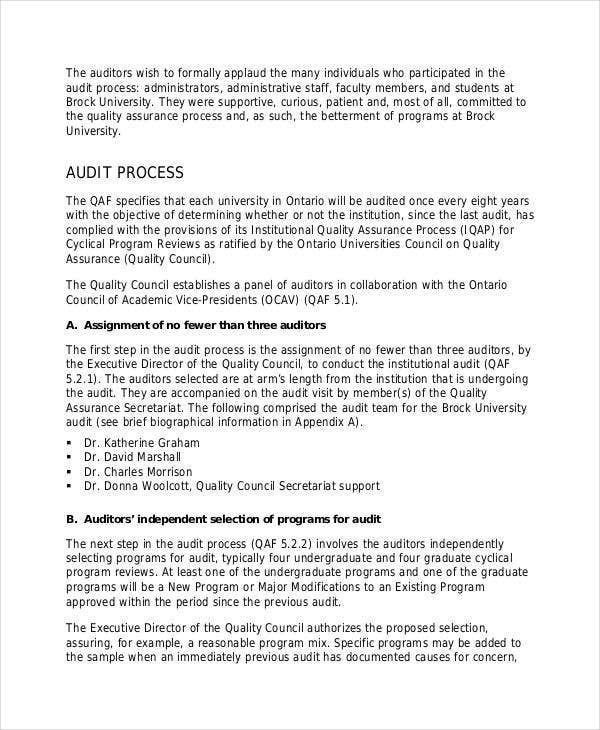 Here are the different types of audit report that one can receive. Unqualified Opinion. 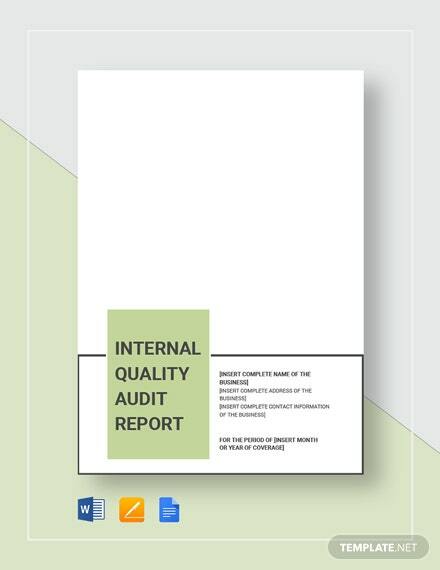 Also called the clean opinion, this report is made when the auditor thinks that all financial documents presented by the audited individual or company are proven correct and acceptable. Qualified Opinion. 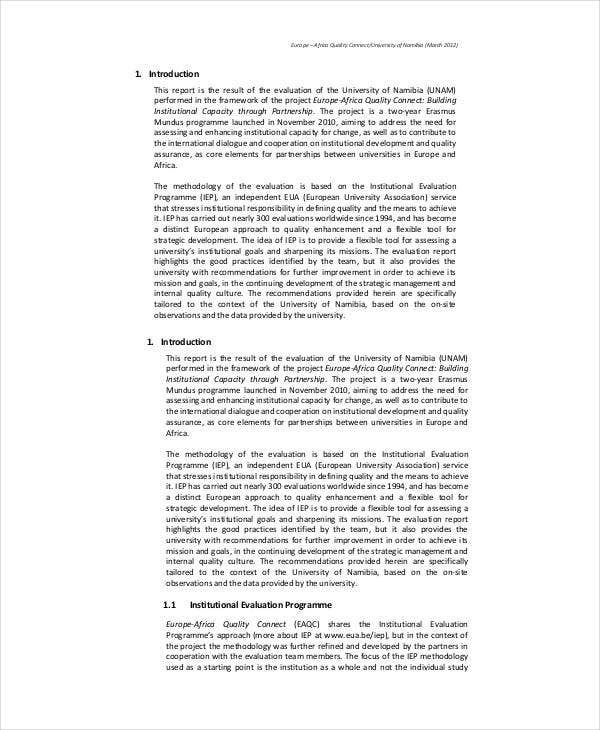 Just like the Unqualified Opinion, a Qualified Opinion indicates that the financial documents are provided, however, the business was not able to follow the necessary practices and adhered to conditions set by the body. Adverse Opinion. 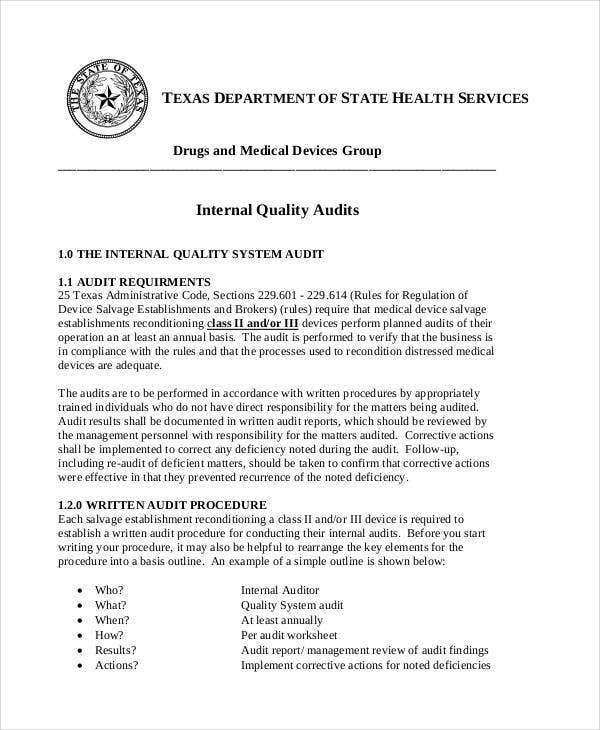 An Adverse Opinion shows that the auditor has recognized not only discrepancies in some financial statements like the ones in our Internal Audit Report Templates but also nonadherence to the set standards. Disclaimer of Opinion. 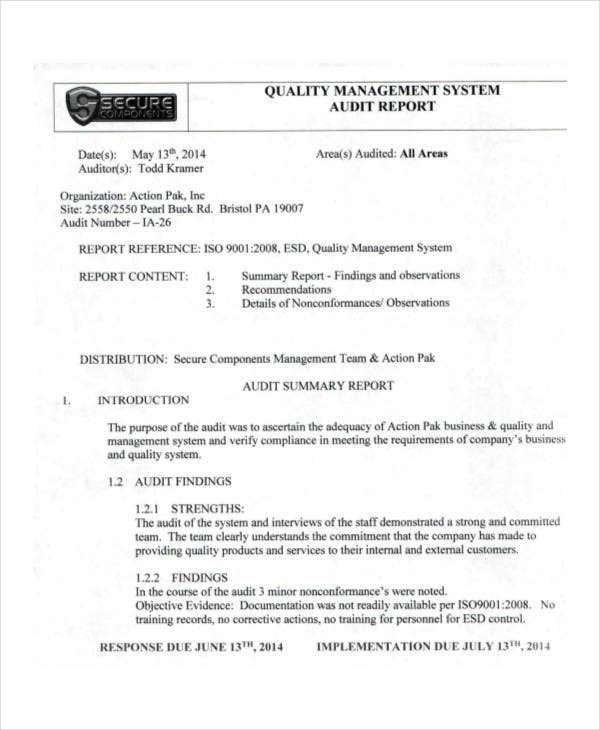 A less common report which means that the auditor was not able to complete an audit due to certain circumstances. 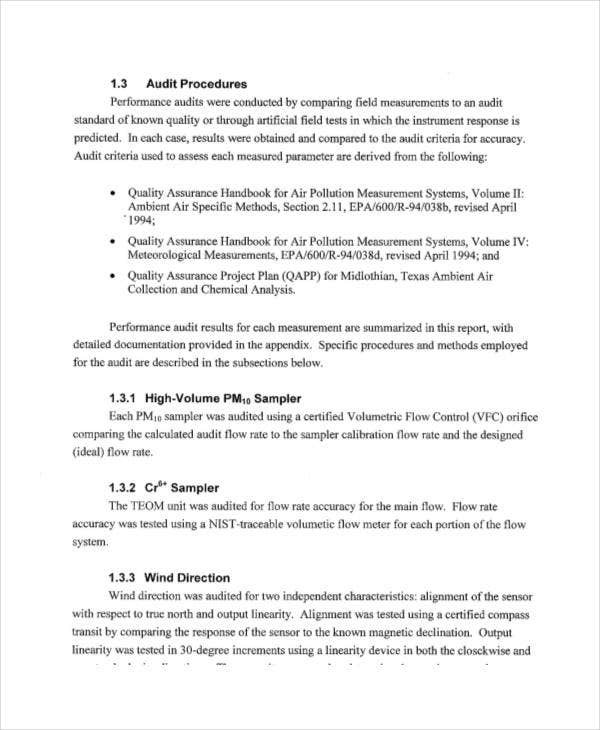 Reasons include the absence of appropriate financial records where financial status couldn’t be determined. Appraisal. 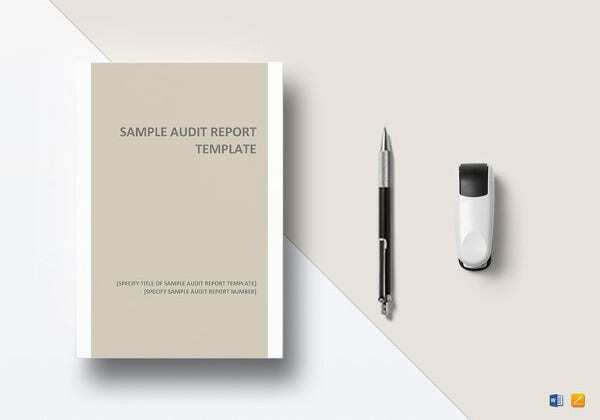 Covering a business’s assets and liabilities, an audit report is is an educated assessment which presents a company’s future as it determines its financial position and value in the market. Adherence. 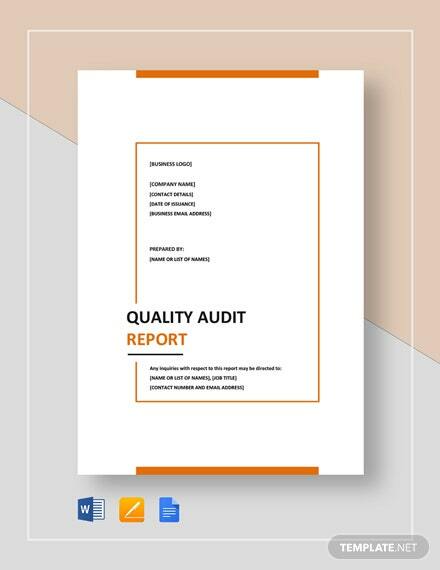 An audit report is usually mandated by governments and companies that trade publicly or industries that are regulated by particular bodies are required to adhere these standards. Funding. Investors would want to spend their money on financially stable businesses so reports are necessary. This will also let them feel secure and confident especially when profits are gained. Improvement. 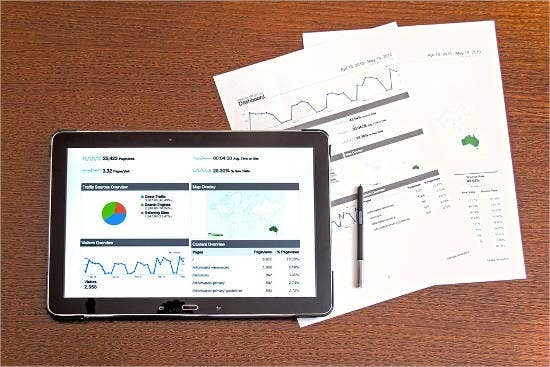 Companies usually have a number of stockholders and a good financial record enables operators to gain more internal control of company operations. It ensures more success since decisions are made within the workforce. 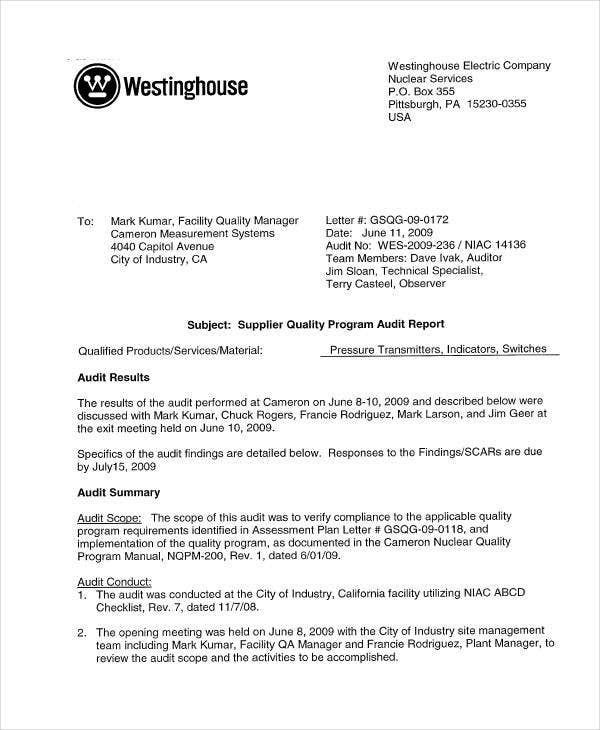 The ultimate reason of an audit report is to provide assurance that material errors are not present in the company’s financial documents and adherence to the law is in order. 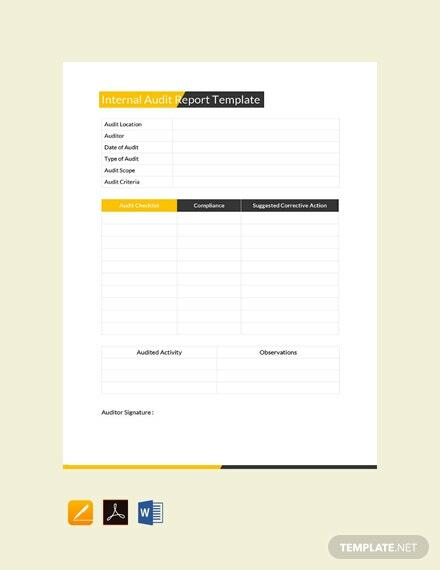 Don’t forget to check our Inventory Report Template and other templates available on our website!